Apple is reportedly sending out emails to developers mentioning that Push notifications on iOS will now have stronger encryption in the form of 2048-bit TLS/SSL certificates. The data transferred via these connections will now be much more secure. Android System Info is the ultimate managing App that gives you utmost detail about your Android device including the battery life, system memory usage, total device uptime, and even the RAM usage. You can even dig deep into the system and get build info, battery type, your SIM card type, number and loads more. Time has listed out the Top 10 Gadgets of the Year and iPad is at the number one position. The iPad according to Time, is the number one gadget of the year leaving behind the Galaxy S, MacBook Air, Google TV and many others. “It’s not the first touchscreen tablet in the history of computing, but it’s easily the most successful so far. With 3 million iPads sold in their first month alone and a market for interactive magazines and newspapers created almost overnight, Apple finally managed to make tablet computing cool.”, says Time. Looking for a finance App for your iPhone or Android device? Money.co.uk has published an extensive guide covering all the latest and greatest Apps from the finance category and have listed the pros and cons of each one of them. We personally love to use Mint on both platforms. Two Cameras in iPad 2? 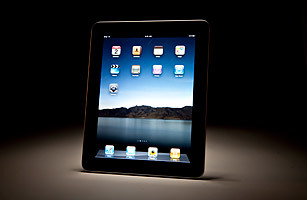 According to a recent report from Reuters, the next generation of the iPad will have two cameras. Reuters have confirmed with multiple sources who claim that the new next generation magical tablet would be released in 2011 and would sport two cameras. Google has announced that their recently launched Google Instant service has gone global. 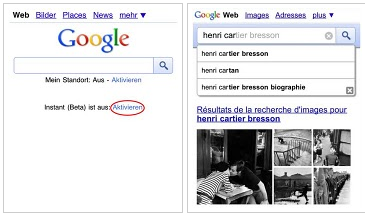 Users from 40 countries worldwide can now see results as they type in the query in over 28 different languages. The feature works only on Android 2.2+ and iOS 4.0+, so if you have any of them, go to Google.com from the browser and click on the link below to try Google Instant. GoodReader, an App which is so good that it is loved by thousands and was the first non-Apple App to become the top paid App in the App Store for iPad has been updated today. Yipee, freebie scanners! According to the latest revision in the iTunes developer terms and conditions, Apple has mentioned that iTunes promo codes will not only work in the US, but worldwide. 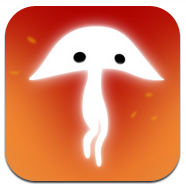 Spirits for iOS is one such game which you would want to play all over again even after completing it. It is so engaging, thrilling and stunning. In this DevDialogue with TheAppleGoogle, Mr. Andreas Zecher of Spaces of Play explains how they got the idea, future plans and even shared his thoughts on Game Center. We now know that Comex is working on an untethered jailbreak for iOS 4.2.1. Today, the iPhone Dev Team have unveiled a new video demonstrating an iOS 4.2 untethered jailbreak. An untethered jailbreak would mean that you don’t have to connect your iOS device to iTunes every time it reboots to regain your jailbreak. Comex has also confirmed that the new jailbreak would be out before Christmas or on Christmas.